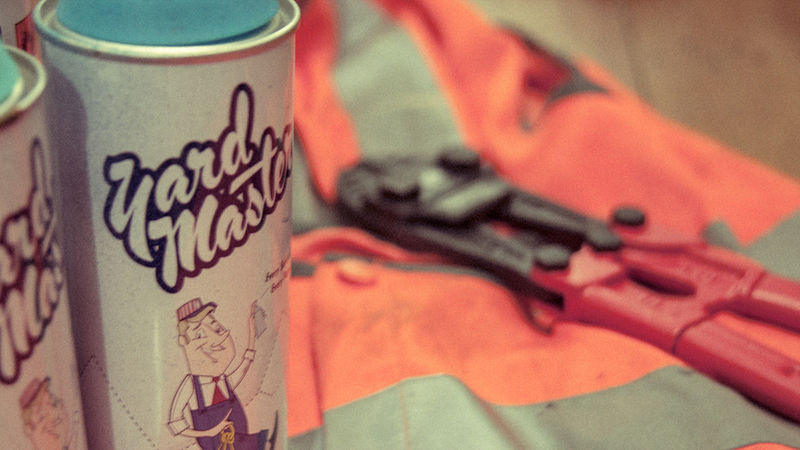 AVT Paints is pleased to welcome ‘Yard Master’ to our family of superior quality 400ml aerosols. Although it performs great on many surfaces, Yard Master prefers to live on steel. Constructed with rust inhibiting properties to help prevent corrosion on metal surfaces, the formula also contains UV resistant properties that will see a coat of paint maintain its youth under all weather conditions. Yard Master uses a special proprietary propellant that doesn’t lose pressure in extreme cold and doesn’t become too high-powered in extreme heat, giving you total control regardless of what Mother Nature throws at you. Inspired by classics, built to survive. Let your work live on. Yard Master will be available in Australian stores from this weekend onwards (check your local retailer) and USA and Europe will be seeing Yard Master on shelves in the near future. Hangfire tested the new YARD MASTER range of paint by AVT. Wasn't bad at all. Only critism is the can shape.